Ask around to see what other people suggest, and you’re bound to hear things like WordPress and Wix, perhaps Squarespace, Weebly or Joomla, and a quick Google reveals there are many others. Many hosting platforms also offer their own website builders as part of their hosting packages, for example GoDaddy. No wonder you’re confused about where to start! Let’s have a look at what makes WordPress the best choice, and how you can get started. You’ve probably seen the ads for Wix, making it appear somewhat magical and oh-so-easy. 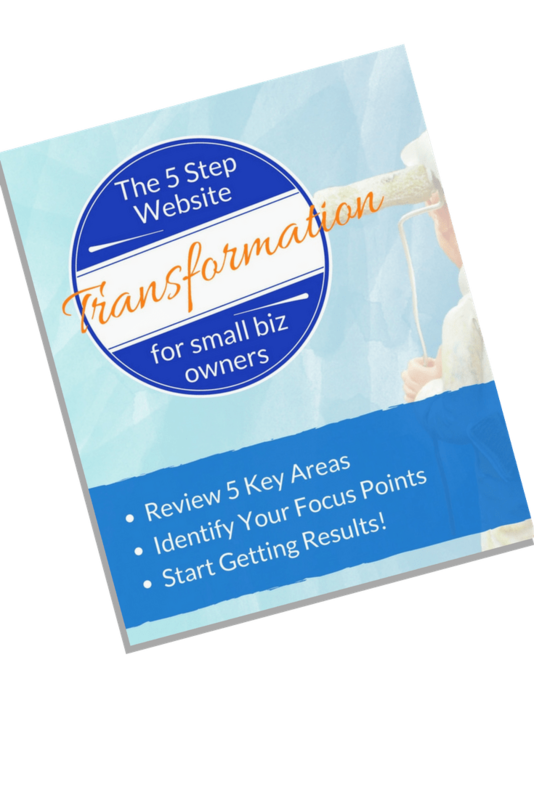 “Create a stunning website … it’s easy and free” – very enticing for those who want to save money and do it themselves. Wix and Weebly have free versions to start you off, but if you want to connect your own domain name you will need to upgrade to a paid version – and having your own domain name is essential if you want your business to be taken seriously. Paid versions of Wix start at $US8.25/month, Squarespace $US12.00/month, and Weebly $US8.00/month (on 12 month plans). Joomla is open-source (like WordPress) and is therefore free to use. I personally haven’t tried all of these website builders, except for Wix (just to see what it was all about) and Joomla (looking into a problem for someone, and found a giant security hole!). I had mixed reactions when I gave Wix a try – at first it looks quite easy, as it’s all done with ‘building blocks’ which you can place where you want on the page, but to make it user-friendly and mobile-responsive – and to look any good at all – it’s not as easy as it first appears. Did you know that WordPress is by far the most widely-used website CMS? A quick explanation: a website can either be built using a content management system (CMS) or built from scratch (in basic terms, hand-coded on a web server). A CMS of some sort is used in around 45% of websites. WordPress is used by 26.6% of ALL websites, and by 59.5% of websites that use a CMS. That’s a lot of websites being powered by WordPress! In comparison, Wix is used on 0.2% of all websites and 0.5% of CMS usage – that’s a vast difference! 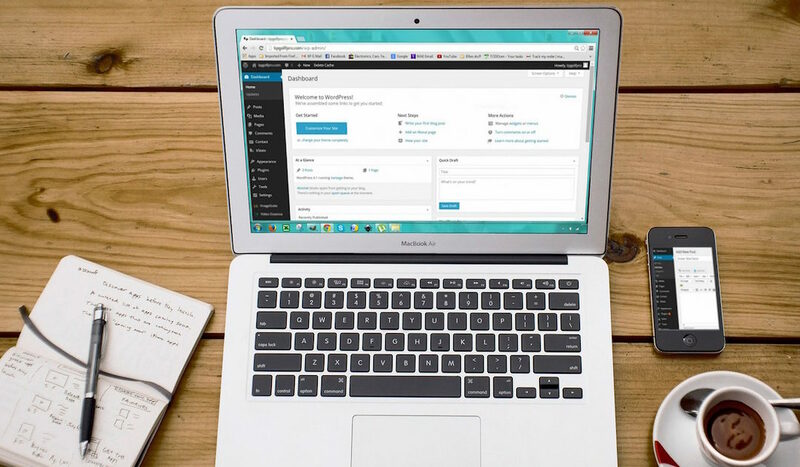 WordPress started out as a blogging platform back in 2003 and is now widely used by many large companies for their blogs (as well as their whole website in many cases). Companies like The Wall Street Journal, Forbes, TED, LinkedIn, Mashable, The Herald Sun, Sony Music, Facebook Newsroom, Time, Mercedes Benz, Fortune, and CNN are among the many powered by WordPress. But why is WordPress so popular? And why should I use it for my business? WordPress is free, open source software that is developed and maintained by a large community of developers world-wide. This massive community of WordPress users and developers means that the WordPress software itself is continually being improved and updated. There is no shortage of help and information available. It also means that there is an endless choice of pre-made themes that you can use as a basis for your site, which can be easily customised to create a unique website for your business. You may like to do it yourself, or you may like to engage a web professional to do it for you; the choice is yours, and depends on how much time you want to spend on it – or if you’d rather be spending your time on more important things, like building your business and serving your customers! Pretty much any up-to-date WordPress theme you choose will be mobile-responsive and SEO-friendly out-of-the-box – hugely important to the success of your business’ online presence. You have a choice of many free and premium WordPress themes (I have a particular favourite premium theme that I use which I’ll talk about in my next post). WordPress is very flexible – you can easily add more functionality and features with a huge range of plugins available, also both free and premium. And, WordPress is easy to use – once you get the hang of it, it’s really easy to add new posts and pages, or to update existing text and images. There are way too many options available for the above to get into here, so I will create another post soon to delve into all the details. So I can just do it myself, right? Everything has a learning curve, of course, and you may not immediately find it easy at all! 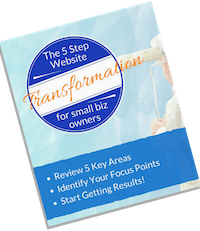 In fact, many small business owners do struggle to get their website just right when they’re doing it themselves, because… well… web design is an art as well as a science, and if you’re not really ‘into it’ and you’re just doing it because ‘it seems easy enough and it’ll save me money if I do it myself’ – then chances are it’s not going to work out quite as easy as you thought! There are a couple of ways around this situation. Get some help. You might very well be capable of creating your own website with WordPress, and you may even enjoy it! But if you’ve never done it before and you don’t know what you’re doing, it’s easy to make a dog’s breakfast of it. Go for a ‘do it with you’ package, where you can get guidance on best practices while learning how to do it the right way. Have you tried the website DIY route, on WordPress or another platform? How have you found the experience? I would love to hear all about it, and I’m sure others would too – please share your thoughts and any burning questions in the conversation below!